I have a ton of things going on in my life right now, and it’s taking a bit of a toll on my level of mental alertness. I got through writing most of a post and suddenly realized that, hey, I remember writing this sentence before… And yes, when I went to check back, there was the exact post, written and posted months ago! Because this is try #2, today’s Friday 5 is the easiest thing I could come up with. I give you my 5 favorite insect portraits (so far)! I know I’ve had this one on the blog before, but I really love how personable my favorite cockroach, Jeffrey, looks in this photo! The woman who runs the Insect Discovery program that I was involved with in the spring told all the preceptors that when they introduce the roaches to the kids, they should hold them up so the kids could see their faces. I completely understand why she suggests that. Look how sweet and adorable Jeffrey looks up there! 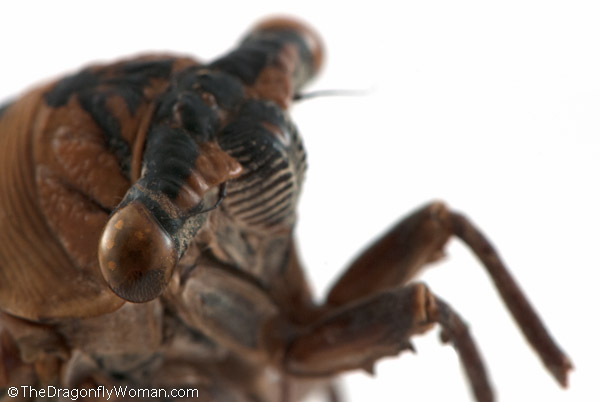 Not all cockroachy, but kinda cute and (more importantly) completely non-threatening. Ah, Jeffrey. I hope he’s been having fun going to schools again this fall. I love these cicadas! I find them along a stream where I collect giant water bugs. They often fall into the water when they die, but this one was still slightly alive when I scooped it up. I was so excited! I took it home and tried to revive it (and shot a few photos), but it ended up dying anyway. It was the end of their season, so I’m not sure what I expected. But, now I have a great cicada specimen in my collection and a series of fun photos of it before it died, including the one you see above. Check out the big, bulbous eyes! Crazy! Sad story alert. 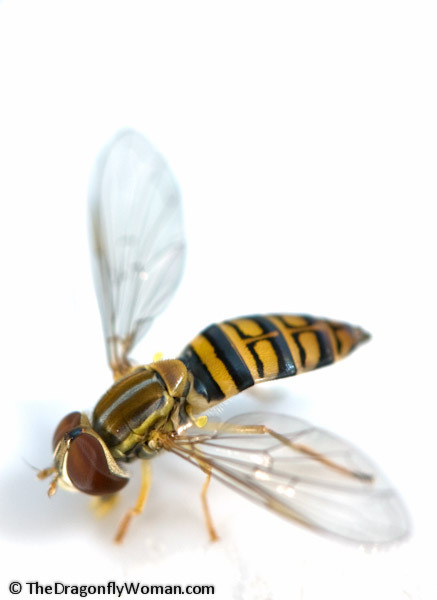 There were thousands of these flying around the day my brother in law died in July. He passed away about a month after his 34th birthday, after a two year long battle with melanoma. 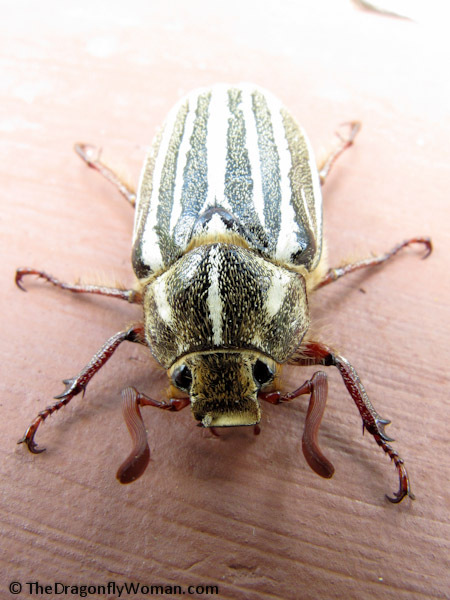 I like this photo partly because the beetle is cute, with its happy little face and all those hairs and scales. Mostly I like it because roaming around outside photographing beetles gave me a few moments of happiness on an otherwise terrible day. My brother in law wasn’t at all interested in insects, but he loved that I loved them. He would tease me when I crawled around on my hands and knees looking at bugs in their yard, but he also recognized that I, like him, had discovered my true calling in life and had an incredible passion for my work. I miss my brother in law, but every time I see this photo, it makes me think of him and smile. Another shot from BugShot, though this one was shot in a white box. I have a sort of love-hate relationship going with hellgrammites, the larva of this insect, but I am completely fascinated by them! I was really excited to find so many of these in Missouri. This shot is far from perfect as my flashes weren’t quite up to the task of lighting the whole BugShot white box and I had to boost my camera’s ISO so high that the photo’s quite grainy. The light from the lamp caused some nasty shadows. However, I love the look of the bug, the way the head’s cocked to one side and you can see the glorious structure of the antennae. What a beautiful insect! Anyone want to provide links to their favorite insect portraits? I’d love to see what some of the rest of you come up with! Very nice photos, DW! You, Bug Girl, and Alex Wild are my insect mentors. Keep up the good work! I enjoy your more-than-evident enthusiasm. Aw, thanks Larry! To be lumped together with the great Bug Girl and Alex is such a huge honor. I’m glad you like the blog! We found an adult fishfly outside the dining hall here in late summer. We had to look it up in an insect field guide to figure out what it was, as no one here had every seen an insect like it before! Nice! They are rather crazy looking bugs, and kinda scary looking too, but wow! They’re impressive. I have to admit, when I got to you reviving the cicada, I immediately had a mental image of you doing mouth-to-spiracle resuscitation, and had a bit of a giggle on the bus! Great portraits though! Ha ha! I didn’t even think about what the comment about reviving the cicada might invoke in people who read it. It’s a good mental image! No, I just scooped it out of the water and let it sit out in the air to dry off. Works with a lot o things that aren’t too far gone from drowning – or on their way out because it’s the end of their season before they even hit the water. No mouth to spiracle this time! Love these! I think the cicada and fishfly are my faves. I’m with Larry: You, BugGirl, and Alex Wild. You all rock. Thanks Kim! That means a lot! And I love your blog too. Your photos inspire me to get out and take more of my own, especially non-insects. Great shots (I do so love Jeffrey!) I hope the “tons of things” going on are good ones, at least! 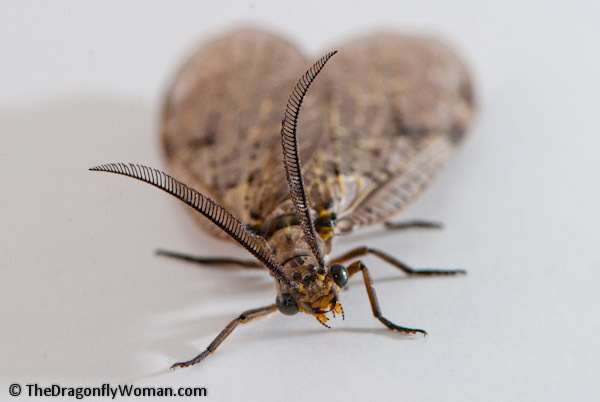 Love your blog and seeing your insect photos! The Bugshot experience was fantastic and I enjoyed seeing your shots from there especially! Thanks! And I agree – Bug Shot was fantastic! I had so much fun. I’ll likely post several more photos from it in the future. Do you have any of your photos online? 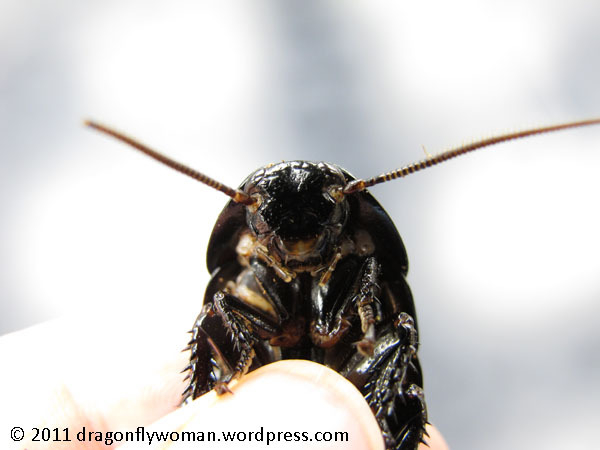 I love your personal connections with these insects (like others have with dogs!). Those of us who crawl around on the ground with you totally relate. Belly crawling bug lovers of the world unite! And I love my roaches! Perhaps not as much as I love my dogs, but they are fun to watch and interact with, so I really enjoy them. I used to have a website documenting all the flora and fauna of my yard, but the server that was hosting it decided to start charging and I’m perpetually broke so that died. I should try and get it back up someday. Might I recommend WordPress? It’s free to use (I pay for my custom domain name, but you don’t have to have one) and it’s really easy to use! You could upload all your previous pages as blog posts and then start adding new ones! Might be a bit of work, but at least it would be online again and you wouldn’t have to pay anything. Just a suggestion! I’m not sure how a blog format would work. I have considered using some of the wiki sites. There are a few free ones around. You don’t necessarily need to use WordPress as a blogging platform! You can make as many static pages as you wish, so you could use it to develop a free website. But wikis work too! Whatever you decide, be sure to let me know where your info is when you get it online! I’d love to take a look.